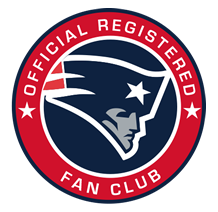 We have over 3,000 members and usually have 200-400+ in attendance at every Patriots day game gathering & 100-150+ for night games. For more details check our Facebook and also our meetup site: www.meetup.com/patriots-33/ We also meet year round for important games of our other favorite Boston teams. Wear your favorite Pats jersey & stop high fiving the wall at home alone and come cheer on the Patriots with your new family away from home. Raffles, contests, and a fun time in a great atmosphere with a bunch of native New Englanders.